Well, the holidays are over, and it is the dreaded disc golf off season! But we at Infinite Discs are doing our best to make the snow and cold more bearable! It is time for the next article in our best discs series. Today, we are announcing the nominees for The Infinite Discs Best Disc Golf Discs: Roller Disc. It has been a couple weeks, so just to review, the two key words we always use when choosing our best discs are popularity and utility. The utility part of this equation is a little tougher when it comes to roller discs, because a roller shot is generally a skill shot that is executed by more experienced disc golfers. However, we will try to include popular discs and ones that are good for learning how to throw the roller. This is a difficult category, because the roller can be executed in a variety of ways with a variety of discs. All that being said, here are our nominees! The Prodigy F7 is considered THE roller disc in the Prodigy lineup. It is their most understable fairway driver, and it is available in lots of weights and plastic blends. Prodigy is sometimes considered not beginner friendly because their discs tend to be less understable, but the F7 is a great choice for learning the roller, and continuing to use as your game improves. The Discmania FD was nominated in our best beginner discs, and in that post I mentioned how the D-Line FD is noticeably more understable than the other plastic types. A lighter weight might be too understable for roller shots, but a heavier D-Line FD is a great choice for learning the roller shot and executing it with consistency. 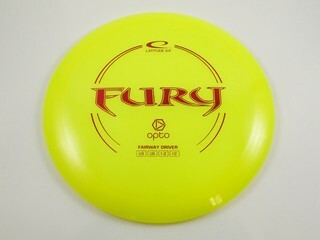 The Latitude 64 Fury has become somewhat of a forgotten disc in the Trilogy lineup of discs with all the new releases they have come out with in recent years. But the Fury remains as one of the great understable fairway drivers in their lineup that is great for air shots and rollers. It is a great roller disc for golfers of all skill levels. Similar to the Fury, the Westside Hatchet feels like a somewhat forgotten disc in the Trilogy lineup of discs. But for those who have been using both of these discs, many would find it hard to replace them. The Westside Hatchet performs a bit more understable than it’s flight ratings indicate. It is a fantastic fairway driver that disc golfers of all skill levels use not just for rollers, but also long turning air shots. This is the third nomination for the Innova Leopard. This is one of the most popular fairway drivers for beginners and experienced disc golfers, and it can be used in a variety of ways. The Leopard is a great choice for learning and executing the roller shot that is available in a variety of plastic blends. 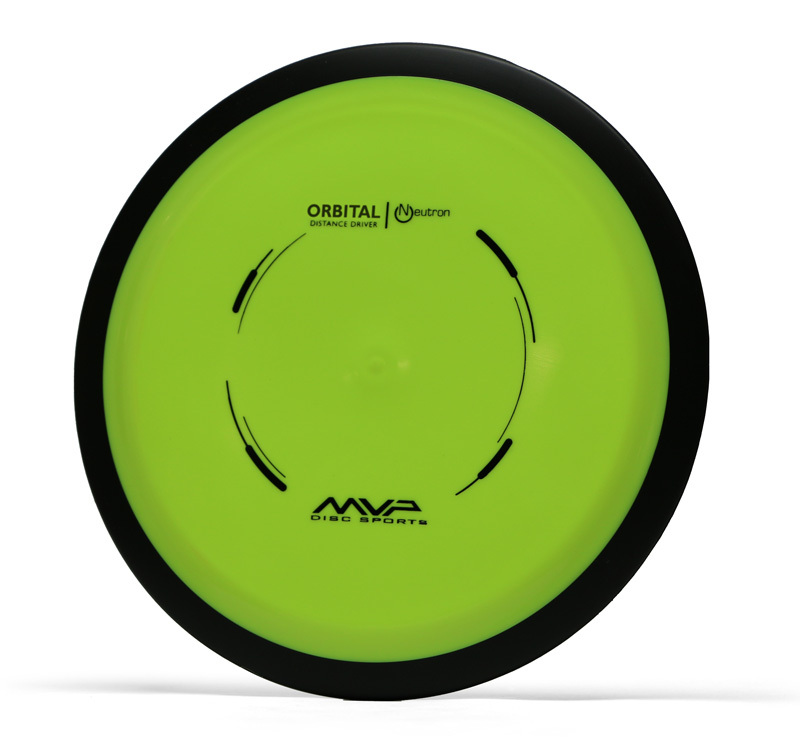 The MVP Orbital is an extremely understable distance driver that works well as a distance roller disc. This disc is a great first distance driver for newer golfers. Then as those beginners’ arm speeds improve, the Orbital can then be used by those same players as a roller disc. 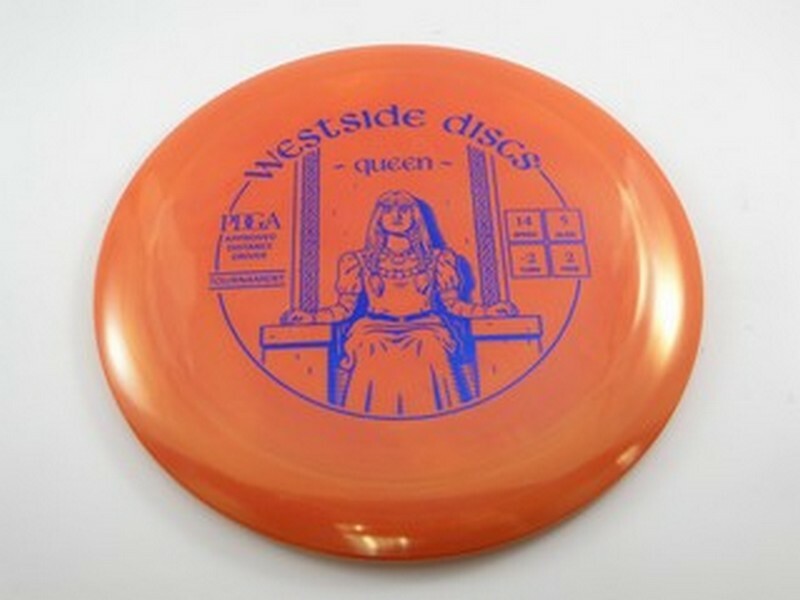 The Westside Queen is by far the highest speed disc on this list. Generally Fairway drivers are chosen for roller discs, but the Westside Queen is very understable for how fast it is, and it allows for a lot of air time before it makes contact with the ground and begins its roll, which makes it a good choice for longer distance rollers and ones in a more open fairway. 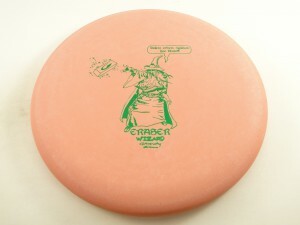 This disc was also nominated in our beginner discs post, and in that blurb I mentioned that it has grown in popularity as a roller disc. The Innova Sidewinder has been a popular choice for players of all skill levels for a long time. Newer players may have a hard time rolling a max weight Sidewinder, but they should be able to work with the lighter weights. Part of what makes the Sidewinder so popular is its use for hyzer-flip air shots and roller shots. This is the Innova Sidewinder‘s second nomination and first win. Like was mentioned above, this category is especially subjective, but for disc golfers of any skill level who want to learn how to throw a roller, the Sidewinder is a great choice. The Sidewinder is an understable driver that offers a nice smooth turning flight pattern that can easily be manipulated for rollers. 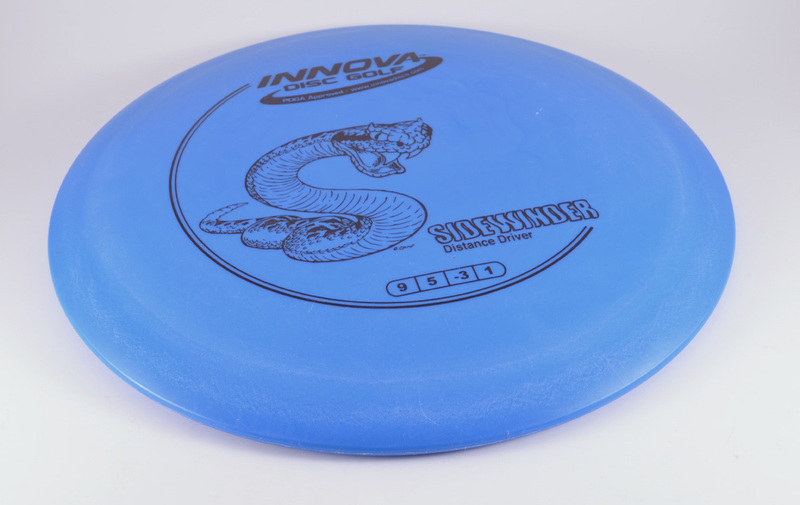 So whether you are new to the roller or a roller veteran, the Innova Sidewinder is a fantastic disc to throw. Do you throw rollers? What discs work best for you on your roller shots, share your opinion in the comment section below. Happy New Year! We are so excited here at Infinite Discs to see what 2019 will hold with lots of changes happening in the disc golf world. How will these changes impact the sales charts? Only time will tell! Today we will review the top selling discs of the final quarter of 2018. This report is usually influenced by the holiday sales deals and is a good review of the discs we wanted to stock up on in the offseason. So let’s get to the sales reports! Like I said, the holiday sales influence the numbers for this quarter, and we can see that influence reaching all the way into the top 10 overall with discs like the Infinite Discs Pharaoh, Axiom Envy, and newly released Westside Maiden. The Discraft Buzzz bumped up to number 3. This may be just because the Buzzz is always popular around Halloween with the traditional Halloween Buzzz, but it is also noteworthy considering the Paul McBeth announcement that came out near the end of the quarter. It will be very interesting to see how that influences the numbers next quarter. If you aren’t sure Paul McBeth influences the sales, it is worth noting that the top 3 discs on this chart have now at one point in time had his signature on it. All of the discs here have been on this chart before. The Infinite Discs Pharaoh made a pretty big jump up the chart going from number 6 last quarter up to number 2. The Discmania PD Freak and MVP Tesla returned to the top 10 after not making it last quarter. Again, it will be interesting to see how the Destroyer performs over the next year with Ricky Wysocki now featured as the signature on the stock Star Destroyer. I think one of the biggest surprises of this entire article is the Discraft Undertaker jumping in at the number 9 spot. This disc has not been on the top sales list since it was first released. We can already see the Paul McBeth move influencing these sales numbers, and with his new signature series Undertaker releasing in January, the Undertaker may be a new staple on this chart. Like the distance drivers, all of these discs have been featured in the top 10 before. The Discmania MD4 hasn’t been on the top 10 at all in 2018, so this one breaking in was a bit of a surprise. The Discraft Comet jumped up to number 6 which is the highest it has been in recent memory. Not to sound like a broken record, but it really looks like that Paul McBeth and Discraft deal was already paying dividends to Discraft before it officially began. The Westside Maiden premiering at the number 4 spot is pretty impressive considering how crowed the Putt and Approach category is. This could be because of the unique holiday editions we ran in BT Hard Burst Moonshine plastic. I could comment on how the Discraft Zone breaking back into the top 10 might have something to do with Paul McBeth…but I will spare you all :). And that does it for 2018! What will 2019 have in store for us? It’s going to be another fun year of disc golf, and we at Infinite Discs are excited to be on the ride with you all. This category was difficult to choose a winner in. All of our nominees and many others that were not nominated are great discs for beginners. But the Latitude 64 Diamond is one of the few disc golf discs that is manufactured specifically for beginners, and it has become one of the most popular and loved discs in that category. The Latitude 64 Diamond is one of the most understable fairway drivers on the market, and it is only manufactured in lighter weights which gives it more understability. This in turn makes it one of the easiest drivers to throw for players who are just learning how to throw disc golf discs. It is also a great selection for weaker arms and children who are starting to play disc golf. If you are new to disc golf and have struggled throwing some of the old discs that your friends have let you borrow, grab a Latitude 64 Diamond and give it a try. Our next “best discs” article will drop next Friday, January 18, so come back to get more tips and for a chance to win a new disc! Only a few more days until the new year! Sounds like a perfect time of year for us to discuss the best disc for beginners! What is a beginner disc? Today we are looking for discs that you would purchase for someone who has never thrown a disc before or maybe only played a handful of times. Like always, the two key words we use when choosing our best discs are popularity and utility. We want to choose a beginner disc that is popular and can be utilized by many disc golfers. Since this category is beginner discs, the last key word is kind of baked into the name of the category. 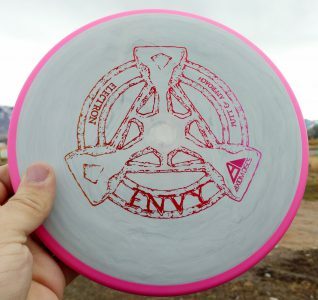 It is vitally important that the best beginner disc can be utilized by beginner disc golfers (obviously…). So, without further ado, here are our nominees for The Infinite Discs Best Disc Golf Disc: Beginner Disc! 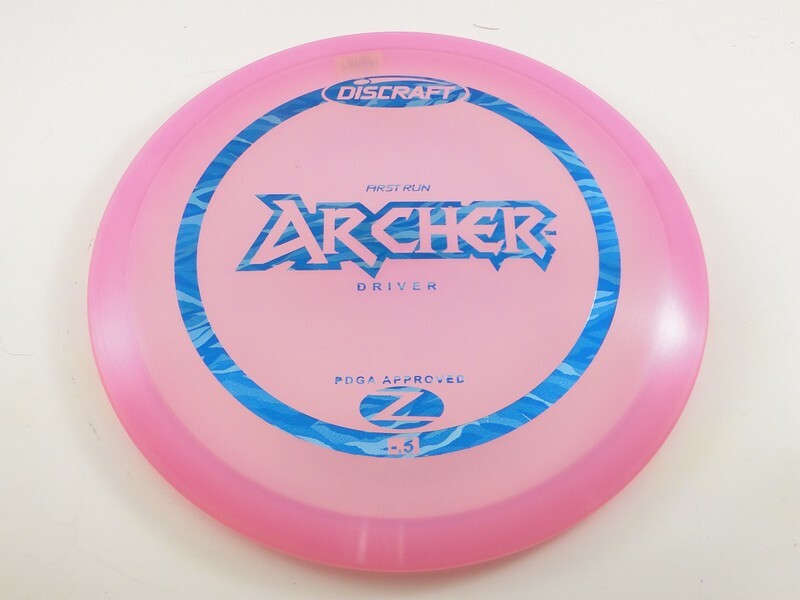 The Discraft Archer is one of the newest discs on this list as it was recently the disc featured in the 2016 Discraft Ace Race. The Archer is kind of a hybrid between a midrange and control driver featuring a small rim that fits comfortably in all sizes of hands. As will be the case with all of our nominees today, it is an understable disc. The midrange in the disc allows it to glide and hold straight in the air with minimal fade at the end. A few of our nominations today are discs that were designed and made specifically with the beginner in mind, and the Dynamic Discs Breakout is one of those discs. The Breakout is available in a few plastic types, but it is only made in lighter weights. It is not the most understable of the beginner made molds, but the lighter weight allows the disc to perform more understable and makes it a great choice for the first driver for newer as well as younger players who do not have the arm strength of an adult. 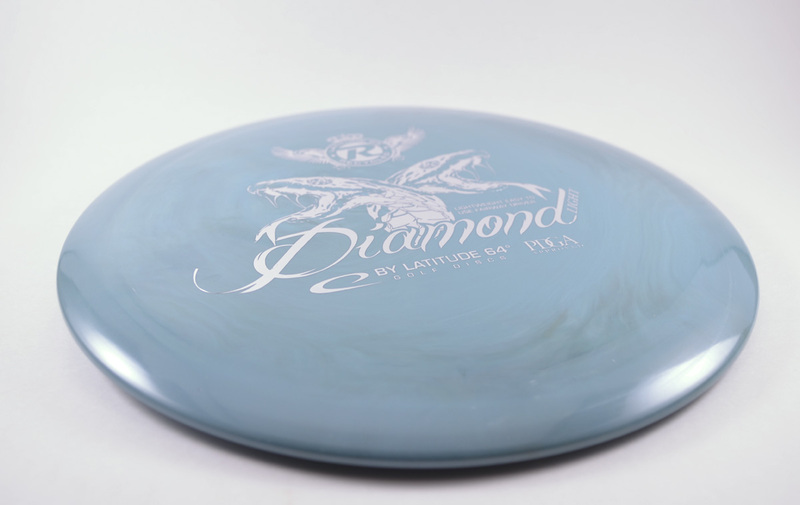 The Latitude 64 Diamond is also a disc designed for the beginner disc golfer. The Diamond is available in several plastic types but again, it is not available in heavy weights. The Diamond is one of the most understable discs on the market, and when you combine that with the lighter weights it is made in, the Diamond becomes a great choice for people who have never played disc golf before. 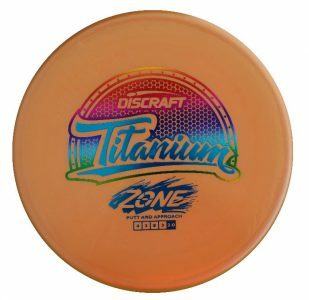 The Discmania FD is a beginner disc that players can grow their game around as it is still a popular disc among experienced disc golfers as well. As mentioned in previous posts, Discmania does a good job of differentiating different runs and plastic blends for each disc, and the D-Line FD is noticeably more understable than the other plastic types, making it a great choice for beginners. 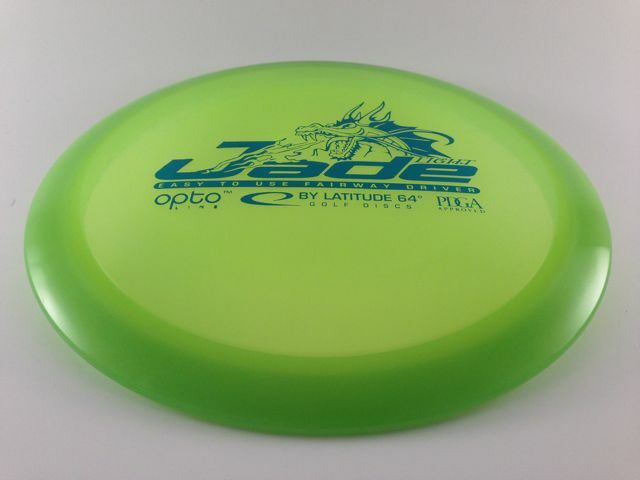 The Latitude 64 Jade is kind of the cousin of the Diamond. Both discs are only available in light weights and designed specifically for beginner disc golfers. The Jade offers a little more stability than the Diamond, but it is still a great choice for an understable beginner driver. So if you tried the Diamond and think you’d want to try something with just a hair more stability, the Jade would be a great next disc for you. The Innova Leopard was featured as one of our fairway drivers nominees, and like the FD it is also a disc that players can learn to build their game around. 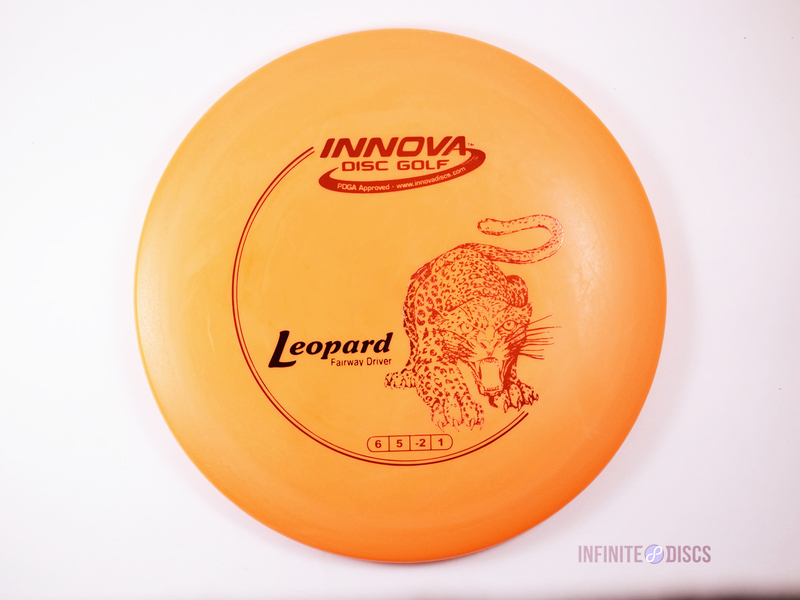 The DX Leopard is featured in the popular Innova Starter Sets, and is one of the most used discs for beginners as it is widely available in sporting goods stores. It is also popular as it is one of the least expensive plastic blends, so folks who are maybe just wanting to give disc golf a try will choose a cheaper disc like a DX Leopard. This is by far the highest speed disc on our list today. Generally distance drivers are not great beginner discs, but the Innova Mamba is so understable it has been a popular choice for beginners for a long time. The Mamba is also a popular second or third disc choice for beginners, and is a great first distance driver for those who are trying out the higher speeds for the first time. These final two nominees are pretty similar, and players who haven’t used either of them often get them mixed up. But the Innova Roadrunner is the slightly more understable of the pair of discs, which in some ways could be used to argue that it is also more beginner friendly. Another nice thing about the Innova Roadrunner is beginner disc golfers can learn to continue using this disc as their game improves. 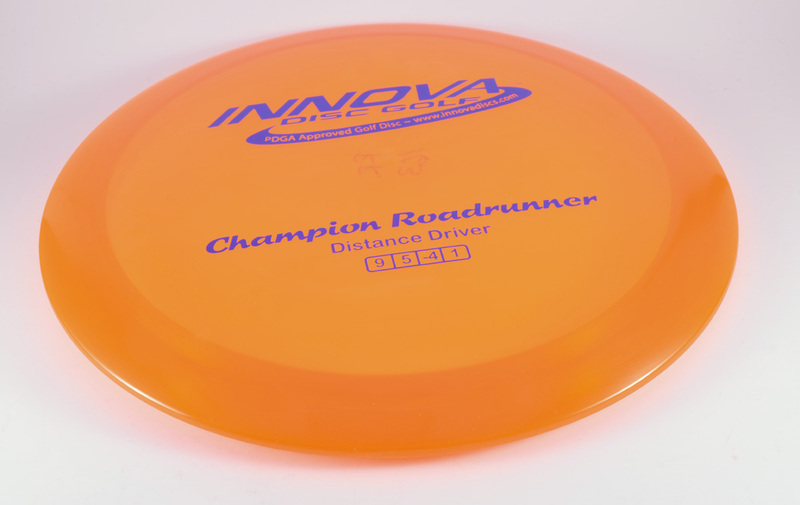 The Innova Sidewinder has been around for a long time, but has definitely seen a resurgence in the sales charts. Part of this could be because of its increasing popularity as a roller disc. But the Sidewinder also has always been a popular choice as a beginner disc with an easy to use understable flight that is easy to learn and grow with. And those are all of our nominees! Check back next week to find out our choice for the winner! This category was difficult to choose a winner in. All of our nominees and many others that were not nominated are great discs for beginners. But the Latitude 64 Diamond is one of the few disc golf discs that is manufactured specifically for beginners, and it has become one of the most popular and loved discs in that category. The Latitude 64 Diamond is one of the most understable fairway drivers on the market, and it is only manufactured in lighter weights which gives it more understability. This in turn makes it one of the easiest drivers to throw for players who are just learning how to throw disc golf discs. It is also a great selection for weaker arms and children who are starting to play disc golf. If you are new to disc golf and have struggled throwing some of the old discs that your friends have let you borrow, grab a Latitude 64 Diamond and give it a try. When you were a beginner, what golf discs worked best for you? What discs helped you break through to get more distance and take your game to a new level? Share your opinions in the comments below. In this category we nominated putters and midranges ranging from stable to very overstable, and the Westside Harp is the perfect middle ground of all of them. 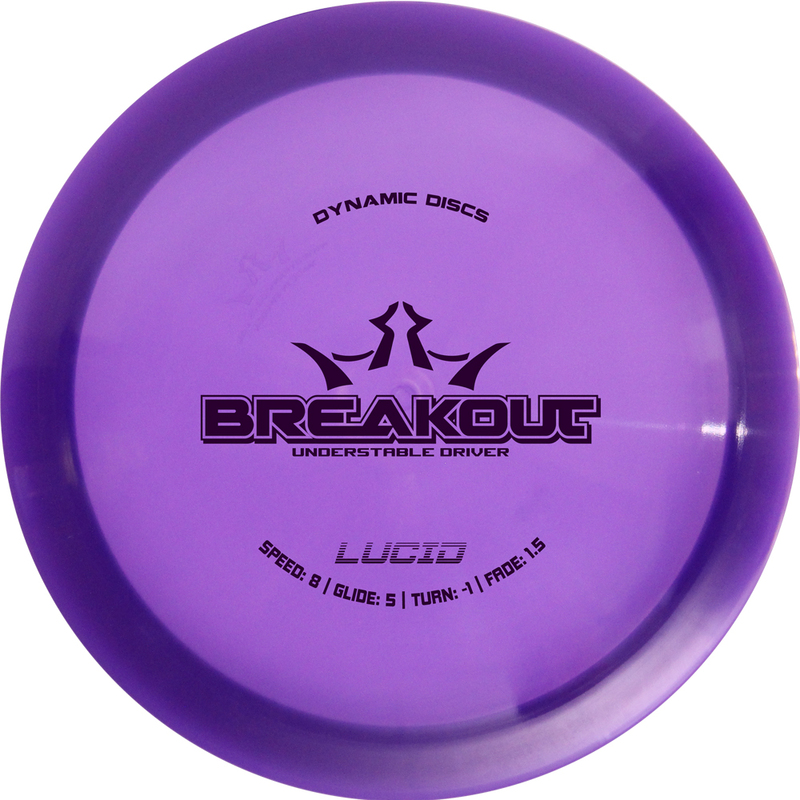 It is an overstable putt and approach disc that disc golfers fall in love with after just a few throws. The Harp‘s flat profile and smooth rim makes it a great selection for forehand and backhand throws. It has enough stability to fight some wind and provide a predictable fade, but it isn’t a meathook that is going to be too much for newer throwers to handle. The Westside Harp is a great addition to any disc golfer’s arsenal, and is our choice for the best approach disc on the market. We are going to continue selecting the best discs in multiple categories in the weeks to come! The next article will drop later today, so stay tuned! The Christmas Holiday is fast “approach”-ing! Seems like a great time to talk about the best disc golf approach discs! What is an approach disc? for our purposes today, we are going to be talking about the discs you would use inside of your personal driving range when you are trying to set up a nice and easy putt to finish off a hole out on the course. Before we list our nominees for The Infinite Discs Best Disc Golf Disc: Approach Disc, let’s again review what we are looking for when making our selection. Our two key words are popularity and utility. We want to choose a popular approach disc that is utilized and can be utilized in a variety of situations out on the course. We also are not limiting these discs that are just categorized in the more broad putt and approach classification of discs, but they can be from any of the four traditional classifications. Now, here are our nominees! Prodigy Disc recognized the difference between putters and approach discs a few years ago with the release of their “A” series of discs. all four discs in the series have been popular, but the Prodigy A2 has been the best seller this year, and it offers a stability that makes it very workable for disc golfers. It is an overstable disc with a more shallow molding that is comfortable in the hand. If you don’t put enough power behind it, it can be a bit of a meathook, but when thrown hard with a smooth release the A2 will hold straight and offer a reliable fade at the end. The Axiom Envy was included in our nominees for best putter, and this overstable putter works great for those looking for a nice overstable approach disc that they can also use for putting. It has a nice flat top and a rim that fits comfortably in the hand for both backhand and forehand throws. The Envy is now available in a large variety of Axiom‘s plastic blends as well. 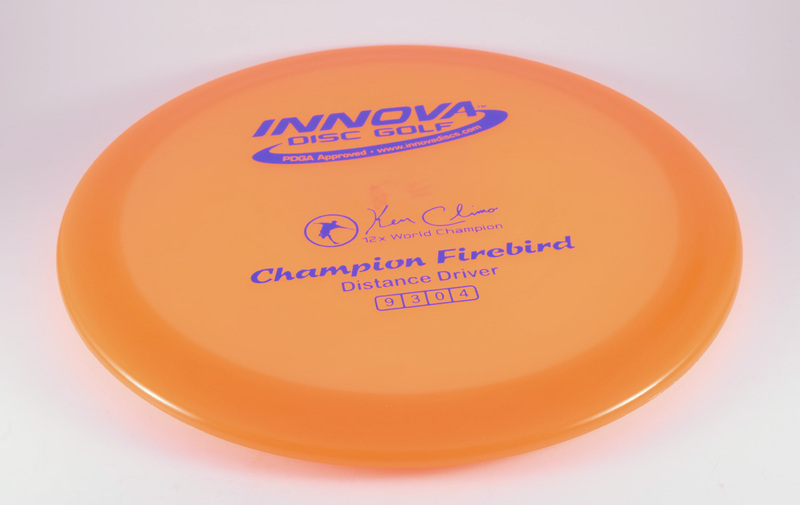 The Innova Firebird is the only driver we are nominating as an approach disc as it is a commonly used disc especially for forehand approach shots. The Firebird is an overstable disc that is especially popular for those who have a hard time gripping midranges or putters with a forehand grip. It is also a great option for approach shots in a stiff wind. The Innova Gator is definitely one of the staples of this category. 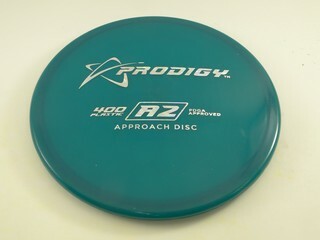 It was nominated in our midrange awards a few weeks ago, but it is mostly used as a true approach disc. 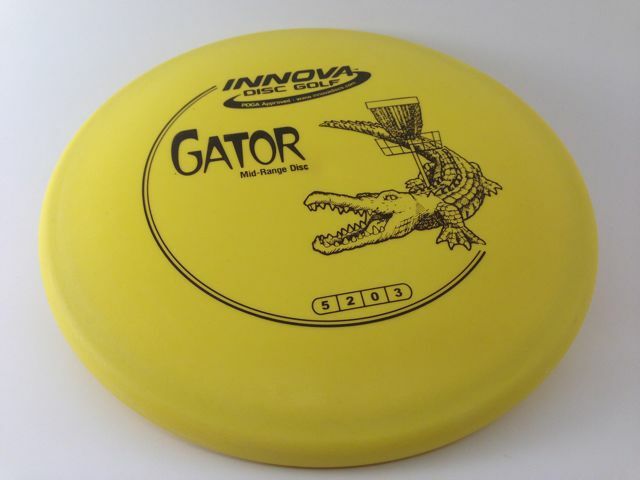 The Gator is an overstable disc that features a flat top (sometimes :)) and a noticeable bead along the bottom of the disc. It is a disc that is great in the wind and offers a little more distance than some of the putters we have nominated as well. 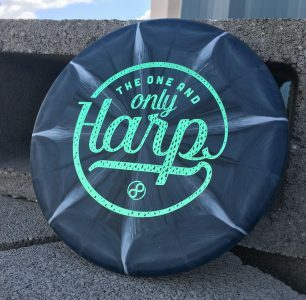 The Westside Harp has become one of the most popular discs as Ricky Wysocki has thrown it all over his tour over the last few years. With Latitude 64 announcing that Wysocki will no longer be a part of their sponsorship team, it will be interesting to see if he will still throw the Harp. 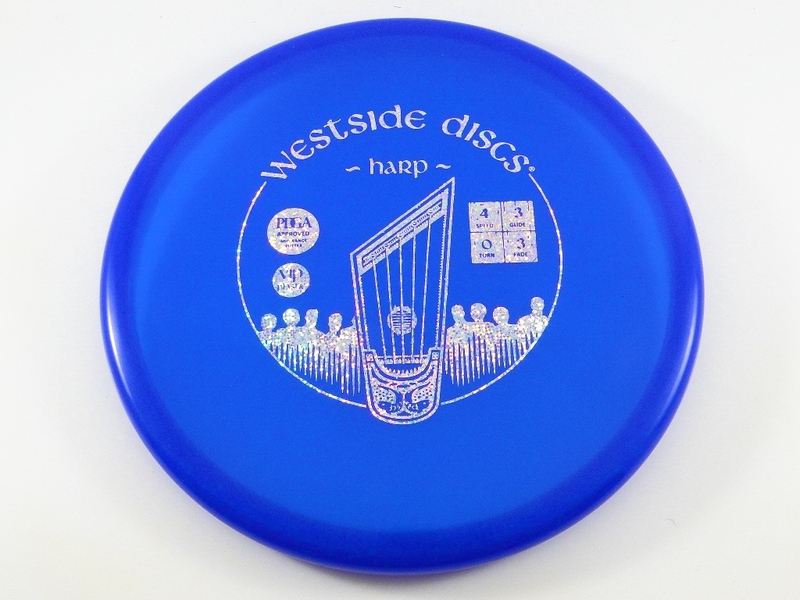 But either way, the Westside Harp is a fantastic overstable approach disc that has also become a very popular forehand disc. 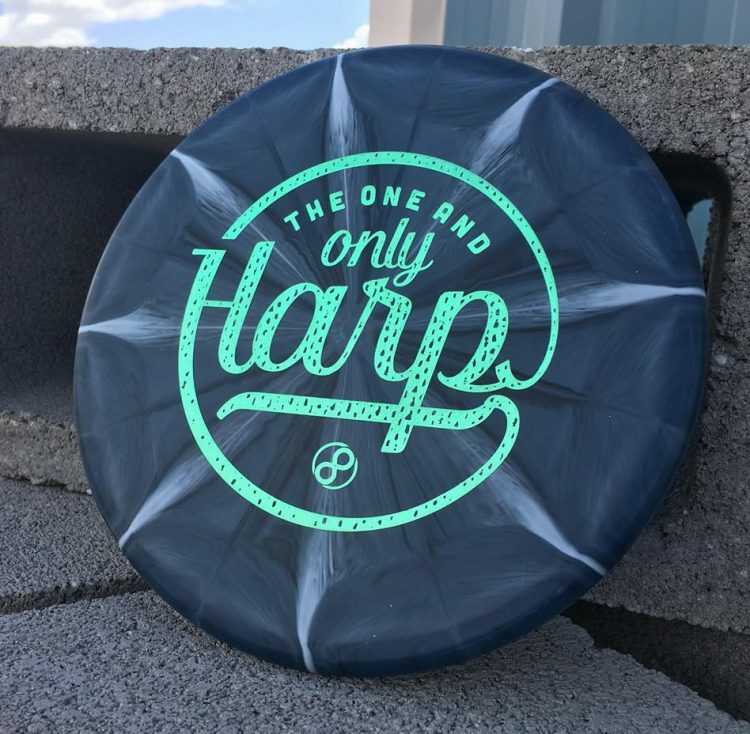 It is available in several plastic blends that offer slight variations in stability and flight that help to make the Harp one of the best approach discs on the market. 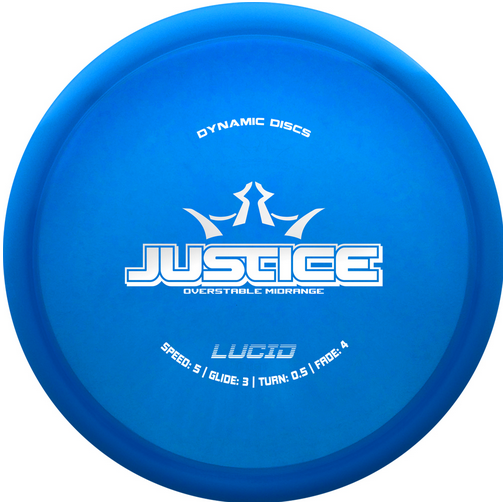 Another disc that we nominated in the midrange category, the Dynamic Discs Justice is a beefy overstable disc that is often used as an approach disc. It is great for making an approach when you need to get around a sharp corner. It also holds up in stiff winds. Like I said in the midrange article, pretty much nothing is going to make the Justice turn over in flight. 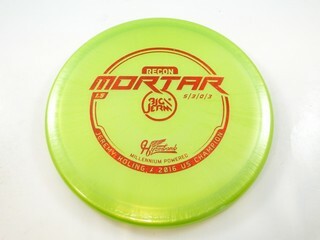 The Hyzerbomb Mortar was also nominated in the midrange discs, but it is primarily used as an approach disc. The mold is just like an Innova Gator but it has a beadless rim. This makes it more friendly to forehand throws, but it still has a strong overstable flight that is workable from all over the disc golf course. 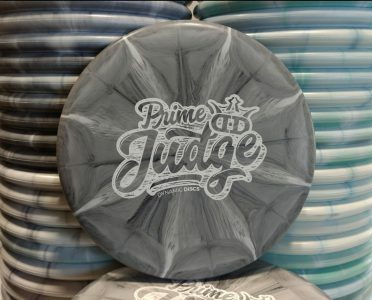 The Innova Nova is one of only two Innova molds that features an overmold design, and it has grown into one of the most popular discs in their lineup. The Nova is not very popular as a putting putter, but is has one of the most unique flights in the disc golf world. It also has a unique mold and shape that is one of the tallest discs. It is a truly stable disc in that it is very straight with almost no fade at all at the end. It is a bit touchy and can be turned over in the wind or if thrown too hard. But when thrown correctly, it flies so straight and reliable. 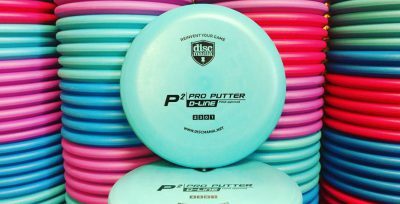 The Discmania P2 was also nominated in our putter category and is currently the best selling putt and approach disc on the market. I mentioned last week that Discmania has done a great job of differentiating be benefits of each plastic type, and that is especially applicable to those who use the P2 as an approach disc. The S-Line P2 is known as the most overstable P2 and the D-Line is one of the more understable versions. Both plastic blends are popular driving putters that can serve different purposes for your approach game. What are your favorite approach discs? Which approach disc do you think is the best? Share your opinion by commenting below and telling us which disc you think is the best approach disc in the world and why!